August Becker obtained his Ph.D in 1932 at the University Gießen, where he worked in the field of physical chemistry and photochemistry under Prof. Karl Schaum. In December 1939, he was assigned as gassing specialist to the Euthanasia action in Germany and in December 1941 to take care of the gas vans deployed to the Einsatzgruppen. In the following year, he toured through the occupied territories in the East to inspect the operation of these vehicles. 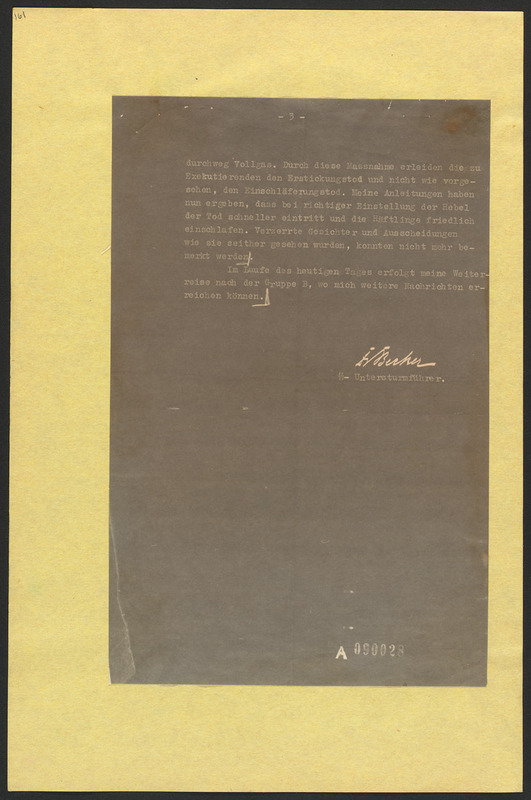 The document cannot be explained away as describing something other than German homicidal gas vans and accordingly it is dismissed as a forgery by Holocaust deniers. However, there is not a single piece of evidence or comprehensible and well-founded reason to support the forgery allegation; to the contrary: it is clearly an authentic contemporary German document radically debunking the central dogma of Holocaust denial that there had been no systematic gassings. The document was found in a "RSHA reserve depot in Bad Sulza" by a unit of the 12th US Army according to a memo of 26 April 1945 cited by the Holocaust denier Ingrid Weckert. According to the web site of Bad Sulza, there was indeed a reserve depot of the RSHA office II in the town. The supposedly conflicting origin of the document pointed out by Weckert is explained by John Zimmerman, Holocaust Denial, chapter 9, footnote 13 as "that there was a communication problem between the various branches of the Allied powers, not that any forgery was involved". In the latest Revisionist treatment of the document, Santiago Alvarez "cannot find any formal reasons to suspect a forgery in this case" (Alvarez, The Gas Vans, p. 43). Indeed, it is obviously a formally authentic letter with Secret State Affair Rubber stamp, incoming stamp with RSHA markings and the signature of Becker (compare with his interrogation protocol of 4 April 1960). 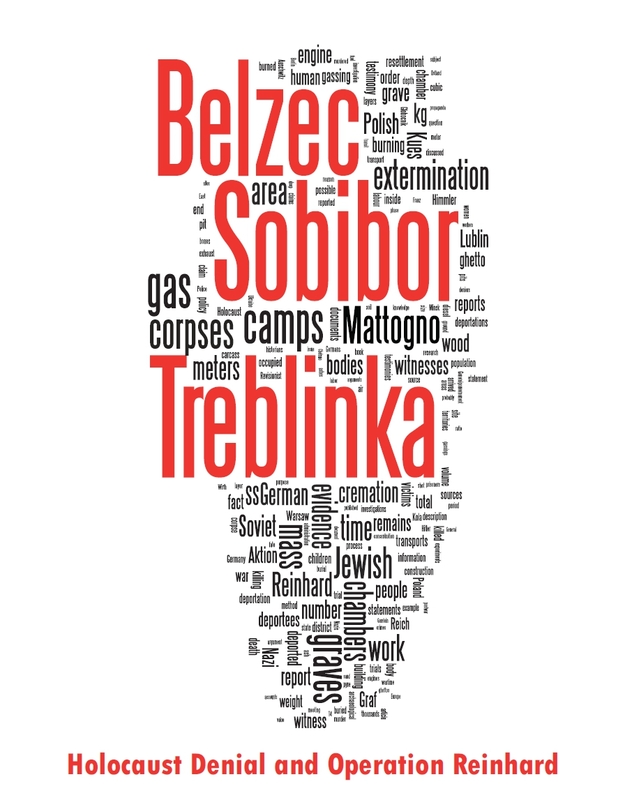 The document was submitted with some other telexes on gas vans as Nuremberg evidence PS-501. It is presently preserved at the National Archives in College Park, MD. Nevertheless, Alvarez "doubt[s] the authenticity of this letter" because its content "leaves behind an awkward impression" (Alvarez, The Gas Vans, p. 55). This impression is, however, only caused by his own technical ignorance as well as poorly substantiated personal incredulity. "In case of Saurer trucks with Diesel engines, their exhaust gases would not have had toxic amounts of carbon monoxide"
(Alvarez, The Gas Vans, p. 53). We had this already (and we'll get it a few more times in this series), there is no convincing evidence presented by Alvarez that the Saurer had to be Diesel - and this actually leaves an awkward impression on him as somebody suddenly swallowing anything once it serves his purpose. As pointed out elsewhere, the Saurer homicidal gas vans were most likely on gasoline engines and so could have produced toxic concentrations of carbon monoxide. Alvarez argues that the "combined oil-air pressure brake" mentioned by Becker for the Saurer trucks "makes no sense, technically speaking...nor is there a precedent for such a combination to my knowledge...The author of the Becker document was obviously not only unfamiliar with the proper terms, but seems to have made up a non-existing technical term in order to appear knowledgeable" (The Gas Vans, p. 50). The air pressure assisted hydraulic brake was actually introduced back in the 1930s. The German brake producer Alfred Teves offered a "combined oil-pressure air-pressure system" (ATE Bremsenhandbuch, 1938). The air pressure served as assistance to exert force on the hydraulic brake. It did make technical sense for vehicles with Diesel engines, which do not generate sufficient underpressure to assist the hydraulic brake but also for vehicles with gasoline engines, when the underpressure assistance was considered insufficient. "The first application of such a combination was probably 1934 in the C series vehicles from Saurer (3C, 4C and 5C). These were equipped with hydraulic four-wheel brakes with pneumatic brake servo"
Such brake was also to be found in the Swiss made Saurer military trucks of the C series even after the war, see these 4CM. Note that the gasoline-driven Saurer gas vans from the French Saurer factories were likely based on a 3C chassis, which was originally engineered for a Diesel engine. So contrary to what Alvarez claims the author of the letter was very familiar both with truck brakes in general and those of Saurer specifically as well as with proper technical terms. If the author's alleged ignorance would have previously raised doubts, then consequently his profound knowledge on Saurer brakes has now to boost our confidence in the letter. Becker goes on that the "sleeve" (misspelled "Manchete", correct: Manchette/Manschette) of the brake of several Saurer trucks was "broken". The term "Manschette" was proper technical lingo to describe sealing elements in the brake system (see ATE Bremsenhandbuch, 1938, p. 82). He managed to get spare parts of the sleeves produced in the city of Mariupol. Alvarez doesn't believe this to be true as "This would have required that the manufacturing company sent unvulcanized spare part sleeves, which doesn’t seem likely" (Alvarez, The Gas Vans, p. 50). Rubber parts are usually pressed and vulcanized in one step. So what he needed were not unvulcanized spare parts but a mold, which was used both for shaping the sleeves and vulcanization. It's unclear where exactly the vulcanization was done, at the Wehrmacht vehicle repair park or at some local rubber factory operating for the Wehrmacht. Becker was technically incorrect in his letter that the sleeves were "cast" though. Rubber mixtures are not cast but rather pressed and vulcanized, but such a technical detail apparently did not bother him. The mold required for producing the sleeves was turned for him at a Wehrmacht vehicle repair park "through persuasion and bribe". Alvarez feels it is "very strange that an SS officer admits in writing to a higher-ranking superior to have acted that way" (p. 51). Actually, this episode tells us something about Becker. He was likely instructed to use any possible mean to get this important mission going and was eager to impress with his achievements. Moreover, Rauff didn't cause any concern for him, either because of their personal relation or more likely because he felt protected by Brack who sent him into Rauff's office. If anything is strange here than it is that Alvarez cannot imagine people acting this way. According to Becker, the Saurer trucks had serious problems under wet conditions in the East. Alvarez cannot believe "that a truck can be completely incapacitated after just half an hour of rain" (p. 47). But he concedes himself that "the road conditions in the Soviet Union were generally catastrophic during the war. There were hardly any paved roads outside of major cities." (p. 47). Becker also explained in the letter that there is "uneven terrain and the hard to describe road conditions" that the problem was getting to the "place of execution...located at least 10-15 km away from the traffic routes". The gas vans had obviously to maneuver off the already poor roads. If Alvarez thinks that any fully loaded heavy 4 x 2 truck (i.e. without four-wheel drive) would have been capable to drive after rain on uneven terrain in the German occupied East, he is invited to show this. Up to then, this is no argument whatsoever. Becker's statement that the "executed suffer death from suffocation and not death by dozing off as was planned" supposedly makes "no sense at all, since the cause of death is suffocation under any circumstances" (p. 53). This remark might be medically or physiologically incorrect, but it is quite clear what Becker is meaning and that he has a colloquial rather than physiological understanding of "suffocation". The victims are not simply exposed to the "silent killer" carbon monoxide and die peacefully without noticing but rather with great suffering. The reasons might have been something like dirty or hot exhaust gas, high level of carbon dioxide, extended killing time. 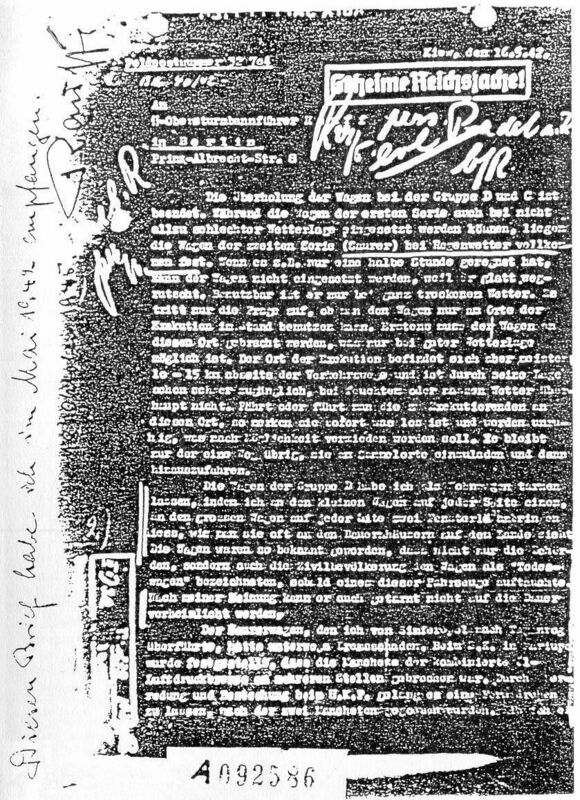 An excellent confirmation that Becker's wording is no indication that something is fishy with the document is that this understanding was apparently also shared by the Revisionist "gassing specialist" Friedrich Berg ("there would have been NO "Erstickungstod (death from suffocation)" or "Einschlaeferungstod (death from CO)""). Now, if even Berg after many years of dealing with gassings would not use the medical definition of Erstickung, then certainly the other gassing specialist Becker could have done so as well. Becker pointed out that "by correct adjustment of the levers death comes faster and the prisoners fall asleep peacefully". He probably adjusted spark and throttle levers (perhaps also choke?) of the gasoline engine. This corresponds to the testimony of Helmut Hoffmann from the Criminal Technical Institute of the Security Police on "adjusting the carburetor to obtain a deadly mixture as quickly as possible" and "retarded ignition" (interrogation of Helmut Hoffmann of 27 January 1959, B162 / 5066, p. 95 f.; note that the retarded ignition is incorrectly related to the adjustment of the carburetor). I'll leave it to the experts (i.e. not Santiago Alvarez) on gasoline engines to determine what kind of changes of the exhaust (composition, volume flow, temperature...) could have been achieved by adjusting the engine. Interestingly, Becker first claimed towards West German investigators that the victims did not sleep to death but suffocated because "not chemically pure carbon monoxide was used but uncleaned exhaust gases" and that some "filter" was damaged (interrogation of 28 January 1960, B162 / 5066, p. 7 f.). After confronted with his letter to Rauff, he was forced to make a number of concessions, including that he had in fact ordered "a change of the nozzle adjustment" to solve the problem how the victims died (ibid, p. 13). By the way, one motivation for a more peaceful death, perhaps even the main one before humanitarian concerns for the victims, seemed to be avoiding body fluids contaminating the cargo box, which was imposing strain on the Germans operating the vans. A: The gas van waits for the victims at the mass grave site. B: The gas van picks up the victims at the collection site and drives them to the "place of execution". Becker concluded that the "if those to be executed are led or driven to this place, they notice immediately what is going on and become restless", therefore the "only remaining possibility is to load them in [the gas wagon] at the place of assembly and then to drive them out". Not hard to understand. Unless you're Santiago Alvarez. "According to the author of this letter, sometimes the executees had to walk to the execution site, but at other times they were carried there by a vehicle. From this it has to be concluded that the executees and the gas van were at times brought separately to this spot. If the reason for this was that the respective gas van could not drive, thenhow did the van get to the execution site? Was it left there overnight?And if this gas van couldn’t move about, how did the other 'normal' trucks transporting the executees manage to get there? What a logistic mess! I may mention in passing that there is not a single witness statementor court verdict claiming that any victims had to walk to the ga van execution site (see chapter 3)." Alvarez makes a fuss about option A although rejected by Becker himself. It is not even clear if option A was ever tried or is only hypothetically existing in Becker's mind and was discarded already based on his experience and common sense. But yes, for option A the gas van would have been brought to the mass grave site during dry weather and waited there until the victims arrive either by foot or with other vehicles (in case of rain, vehicles with better off-road performance than the Saurer trucks). Hardly a logistic mess. But this practice was denied by Becker anyway because he believed the victims "notice immediately what is going on and become restless". This, of course, also explains why Alvarez could not find "a single witness statement or court verdict claiming that any victims had to walk to the gas van execution site" - because it didn't happen or was rather an exception than a rule. Finally, Alvarez seriously complains that "no reason is given why the executees became unsettled when walking to their execution site". At this point I wondered myself if Alvarez might be a little bit mentally confused, just a bit. Guess why people, who were commonly told they get resettled or transferred and may have already heard of rumors of killing, dumped out in the sticks by armed paramilitary forces might become unsettled? But then, perhaps the mentally confused would not. Which is, by the way, also why the West-German investigators did not buy Becker's explanation that he thought only Euthanasia victims plus criminals were gassed. The "mounting of window shutters on the sides of the truck" (Alvarez, The Gas Vans, p. 48) was allegedly a "ridiculous" measure to camouflage the trucks. Alvarez further claims that "motorized, trucksize trailer homes weren’t exactly a common commodity in Russia in those years, to put it mildly, because in that era trailer homes consisted of horse-drawn carriages! ", but he provides no evidence to back up the claim. According to Google Books, several German authors (Hübschle, Die russischen Kollektivwirtschaften und die Ursachen ihres Misserfolgs, 1935, p. 5, Erich Koch-Weser, Russland von Heute, 1928, p. 183, Baltische Monatshefte, 1932, p. 670) reported about trailer homes carried by tractors in the Soviet Union even earlier (shown here for the 1950s; thanks to Sergey for pointing out the picture), which apparently also Becker saw "on farm houses in the country" and which he tried to mimic by mounting window shutters. Even if such a vehicle would have attracted attention, it would have done so as a motorized, trucksize trailer home rather than as homicidal gas van. It is entirely possible that Becker could have thought that changing the appearance of the gas van trucks would reduce their recognition by the civilian population, at least for some time. According to Alvarez, the Wehrmacht "most certainly would not have tolerated" Einsatzgruppen killing activities in the front-line city of Taganrog and that the RHSA would not have sent a gas van "to a location where they were in danger of being captured by a sudden Soviet counterattack" (p. 49). 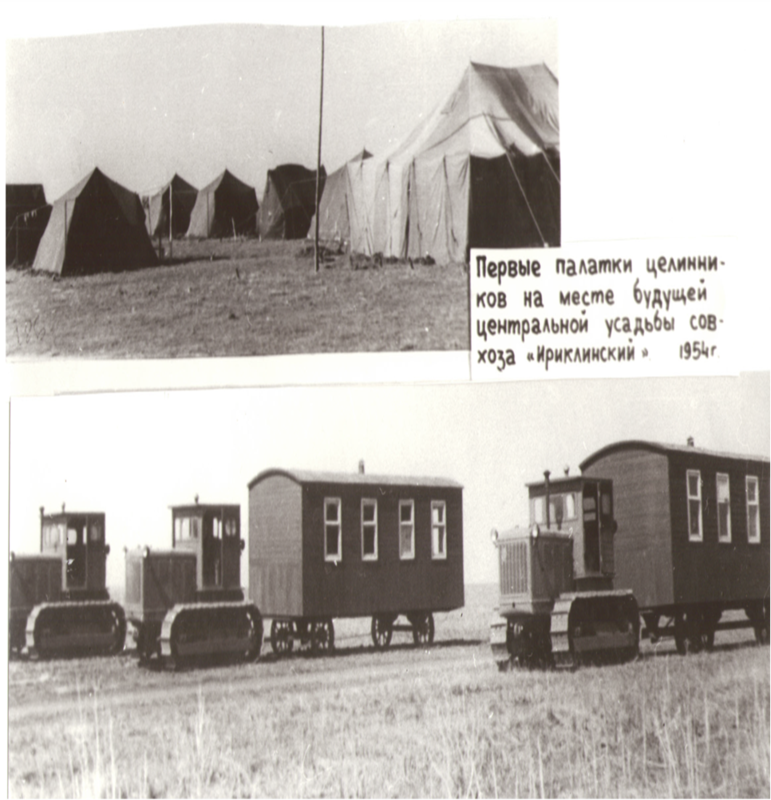 Yet, one could easily suggest the very opposite that precisely because Taganrog was a front-line city the Einsatzkommando 10a would have been ordered to carry out clearings among the population to secure the German position and precisely to make these clearings as discrete as possible a gas van was sent to the city to replace mass shootings. Becker writes that the "uneven terrain and the hard to describe road conditions" in the East loosens sealings and rivets of the gassing coach works. Alvarez thinks that "rivets hardly ever do" become loose and that this "gives the impression that the author let his fantasy run loose without bothering about the probability of his claims". But then Alvarez does neither know the strength of the rivets and the sheets in this specific case nor what strain they were subjected to. He is not in the position to make any educated guess on the probability that the rivets failed. Rivets can get loose when subjected to excessive, repeated strain. That much is known from mechanical engineering. For now, it cannot be ruled out that poor material, poor manufacturing, corrosive fluids, poor roads in the occupied territories and 4.5 ton loads of people trying to get out of the cargo box - or combinations of these - may have caused problems with rivets of the coachwork. Becker goes on that damage in the coach work was repaired by soldering "smaller leaking parts on site". Alvarez doesn't like this either and asserts that this would have not been done by "soldering but rather by welding". Based on what? Because Alvarez says so, just as when he said Saurer were always Diesel or there is no combined air pressure/hydraulic brake? Alvarez wonders why Becker "insists on the issue of sealing the gassing box" and points out that the gas vans had "openings permitting the escape of the excess exhaust gases...which is to say: they could not and should not have been sealed" (p. 52). These openings allowed for controlled and defined leakage, whereas damage in the gassing box was uncontrolled leakage, a fine but significant difference. That aside, another issue could have been deterioration of the wooden core of cargo box and leakage of body fluids. The following testimonies confirm the authenticity of the letter and corroborate Becker's involvement in the gas wagon operations. Further corroboration comes from numerous testimonies as well other contemporary German documents on German homicidal gas vans. "I only sent a number of already mentioned telexes for spare part requests to Rauff's office and the letter of 16 May 1942 from Kiev as preliminary report. This preliminary report was shown to me today. I recognize it as my report, it is also my own signature. As I notice from the header, this report was also submitted to Pradl and he signed it with the written note erl. Pradl n.R.b.R. This presumably means 'done Pradl after consultation with Rauff'. It is also natural that Pradl had to receive this report, since it was about vehicles and spare parts allocation etc. This photocopied report is, as said, a preliminary report from Kiev. The final report was given during the discussion between Pradl and me in the RSHA in Berlin, the subsequent written final report I submitted to Pradl's office a few days later." "I've received this letter in May 1942"
"I hereby acknowledge the attached letters, written by Dr. Becker (Lieut.) on 16 May 1942 and received by me on 29 May 1942, as a genuine letter. I did on 18 October 1945 write on the side of this letter a statement to the effect that it was genuine." "It is correct that I received something from Becker on the operation of the gas wagons. I myself told Becker to sent me such a report." "I was shown the letter Becker sent to Rauff, the head of the technical department of office II on the use of the dead gas wagons. I knew both men personally and I believe that this letter is an authentic document." "When he [Schubert] came to the Einsatzgruppe D in September 1941, there were no gas wagons yet. They arrived in spring 1942. The transport was lead by SS-Untersturmführer Becker. There were only drivers in the vehicles, names are not known anymore. Becker had noticeable red hair." "I remember that a man was visiting Dr. Widmann in course of the analysis of the CO, but I don't remember his name anymore. Possibly he was Dr. Beck or Dr. Becker. I don't know where he came from. I don't know if he was a doctor or a chemist. I only know that he had red or reddish hair." "If I'm asked about Dr. Becker, according to my memory he was a member of office VI, i.e. the Security Service. Allegedly, he was a chemist. He should have been SS-Sturmführer. He was 5 years older than me...Dr. Becker was assigned from some office probably for the technical supervision of the gas wagons." During Becker's denazification process in 1946/1947 Karl Zammert and Philip Stengel, inhabitants of Großen-Linden, testified that Becker was seen with a gas wagon in the town during the war. The mayor of Großen-Linden told West-German investigators on 26 January 1960 that Becker is also called "the red Becker" and confirmed that people had seen him with his gas wagon in Großen-Linden during the war. 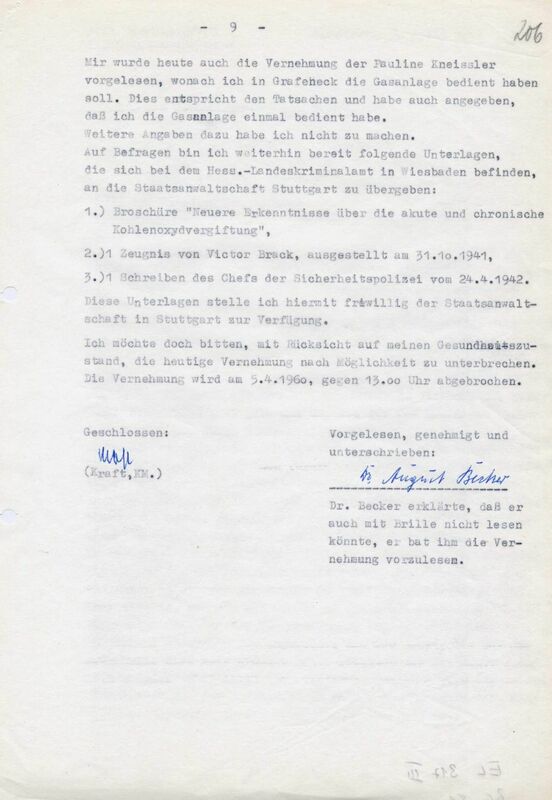 The vehicle was camouflaged but the population still talks about that Becker did terrible things with it and gassed people (memo of 26 January 1960 and preliminary report of 12 February 1960, Sonderkommission of the Criminal Police Wiesbaden, Bundesarchiv B162 / 5066, p. 32 & 71). The letter heavily incriminates August Becker, who however was a comparably small fish for the investigators and who got punished with 4 years of work camp for being an old Nazi fighter in 1947 but not for his gassing activities that he wisely kept quiet about. The document does not even explicitly (in the text) incriminate Rauff and his involvement can only be inferred from him receiving the letter. Then the letter slightly incriminates a certain SS-Untersturmführer Ernst, who was in charge of a repair garage in Kiev and even less important than Becker. But the reference to Ernst demonstrates extensive insider knowledge of the author. Yet, it does relatively unspecifically incriminate the Einsatzgruppen C and D without providing names, and even more vaguely A and B. It's hard to see any master plan here. Further, the document is full of technical discussions relevant for the people in charge of vehicles, but that were pointless for Allied investigators and only increased the risk of accumulating mistakes and getting exposed. The same is true for providing the geographical location of the commandos. Some details such as the adjustment that "the prisoners fall asleep peacefully" could have actually served to decrease Allied charges and run against Allied propaganda. Or that the Saurer trucks could not have been used at all during rain or that the Germans operating the vans got headache from the exhaust gas, or that rivets of the coach work got loose, are all details one may wonder why any Allied forger should make up such thing entirely undermining the view of the well oiled German mass extermination machinery. Cui bono? So, there is not only no evidence to support the forgery hypothesis, but there is also no sound motive or coherent explanation for it. The document does show the use of homicidal gas vans by the Germans, but it does this in a way that is largely irrelevant, risky and even counterproductive from the point of view of the Allies and not even explicitly incriminating any big fish. There is a brief section on "Interrogations of August Becker" in Alvarez, The Gas Vans that just begs for some critique, too. Alvarez argues that Becker not remembering the Diamond T as gas van chassis in 1960 says something about "the quality of Becker’s statements" (Alvarez, p. 189). Forgetting rather minor details such as what brands were used as chassis 18 years after the event is hardly troublesome to any witness when it comes to the big issues. And such an argument is hardly suitable for gauging the witness credibility anyway. "Sure, little Becker fetches Heinrich Himmler’s personal plane, which just happened to wait for him in the world metropolis of Nikolayev, and from there he flies around behind the Russian front inspecting the gas vans of the various Einsatzguppen." Well, even the mocking cannot obscure that Alvarez cannot really explain what is supposed to be so improbable about Becker's narrative that he took Himmler's personal plane (or whatever Becker thought it was) from Nikolayev to Simferopol. If the plane was taking this route anyway, why shouldn't have Rauff (who was incidentally also responsible for aviation in the RSHA) or Brack allowed him to join? The mission may have had some priority, Himmler was quite concerned about the strain on the killing squads and his assignment to Rauff and trip in the East was ordered because of a "personal discussion between the Reichsführer Himmler and Oberdienstleiter Brack" (interrogation of Becker of 26 March 1960, Bundesarchiv B162 / 5066, p. 194). The historian Andrej Angrick presumes that Himmler and Brack further discussed Becker's mission on 14 December 1941 as part of the topic "Euthanasia" (Angrick, Besatzungspolitik und Massenmord, p. 382). Alvarez' inability to even read and understand Becker's testimony was already pointed out by Jonathan in A Blatant Lie in the New Holocaust Handbook. Finally, Alvarez wonders "Is Becker implying that he thought the gas had been deployed to execute death penalties?" Yep, this was precisely Becker's defence that he thought the gas vans were used for Euthanasia and to liquidate partisans. "From these excerpts it becomes evident that Becker was really mentally confused." Not really, but given reading skills sometimes close to illiteracy when it comes to German atrocities, a disturbingly low level of common sense, merciless overestimation of one's technical and historical understanding and the belief that merely mentioning a few little relevant improbabilities is supposed to be a proper treatment of testimonial evidence...how about yourself? Two things are offered against the letter: technical ignorance and poor personal incredulity pushed forward by strong belief that there had been no systematic homicidal mass gassings, but nothing that can be commonly classified as evidence and well-founded argument. On the other side, the Becker letter looks formally authentic, its content is consistent with other sources, its authenticity was confirmed both by the author and the recipient (neither of whom recanted not even after death as a last will), Becker's activities are confirmed by other witnesses, the use of homicidal gas vans is corroborated by other contemporary documents and testimonies. Most importantly, the forgery hypothesis fails to explain anything or to make any sense. Hence, there is no ground to declare the letter a forgery or even suspicious. The document is beyond any reasonable doubt authentic and demonstrates that the German paramilitary forces employed homicidal gas vans. I just finished reading Chelmno and the Holocaust. 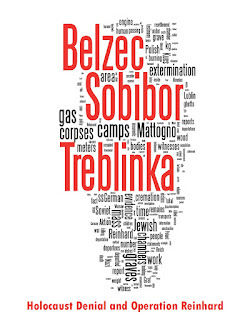 It's very good, I recommend it for anyone who who is interested in learning more about the Death Camp at Chelmno. I like that the author was willing to admit when the information he had was sketchy or contradictory. while you're here, could you do me a favour and check reference 36 of "Appendix I: The Gas Vans" what it says. I only know it from google books and this page is missing. Thanks! Oops, sorry, while I was clicking pages the reference point changed. Hope this helps, sorry about the mistake, Hans. Ah sorry, J Kelly, I was not clear enough. I only need the text of the actual endnote/reference, i.e. what source Montague is citing to back up the statement. I see I would also need the next ones, endnotes 37 and 38 (on the explosion). The reason is that I doubt Montague's description that there was a chemical explosion in the gas wagon, but perhaps I'm corrected by his sources. Endnotes 26 and 27 of this chapter would also be cool to know (yeah I know I really need to get this book, but so far the google preview was sufficient ;-) ). Thanks again and sorry for the confusion. I've deleted the other postings with the undeliberate off topic quotes from Montague, Chelmno and the Holocaust. 203 AR-Z 69/59, Bd. 6: 968, Walter Burmeister. 37. 2Ks 2/65, Bd. 5: 209, Anton Sukkel. 26. 203 AR-Z 69/59, Bd. 6: 968, Walter Burmeister. 27. Ibid., Bd. 4: 523, Gustav Laabs. The Kindle version is a little awkward to copy and paste from and I am doing this from my phone. Let me know if you need anything else from the book. "the note on the file on 5th June 1942 reports that a gas-van was exploded in Chelmno"
This 'file' appears to be in some archive with the reference 'Copy ZSL, USA Dok.Film1, BI.9-14'. There is also a note saying it can be found in the book "Nationalsozialistische Massentoetung durch Giiftgas. Eine Dokumentation. Ruckerl/Kogon/Langbein. Yes, there was this explosion of a gas van in Chelmno (doc 8 here: http://holocaustcontroversies.blogspot.de/2015/10/contemporary-german-documents-on.html , it's the same you've cited ), but what I wonder is if this was only a physical explosion because of overpressure in the cargo box (bursting) or if it was also a chemical explosion (ignition of gas). Montague (Chelmno and the Holocaust) writes that the SS man Steinke suffered burning injuries --> evidence of a chemical explosion. However, the verdicts of Steinke's trial says that the explosion which injured him took place in the basement of the Chelmno castle, which suggests that it was not related to gas vans. So I hope we can get some more information from the sources used by Montague to understand if the gas van exploded with an ignition of the gas mixture, or if it was only a bursting of the cargo box from pressure and that there was a separate explosion in the castle basement.